At some point, all organizations need to take the leap and innovate. But what worries me is that many organizations want to innovate just for the sake of innovating. Research shows that 70 percent of employees generally aren’t comfortable with change. So if you expect your people to take the leap, you need to have the right infrastructure in place. Now, the “leap” I’m referring can be from the one-meter board or the high dive. The height of the leap depends on the type of innovation. Organic innovation is the gradual, logical and progressive change that many of our organizations undertake as they grow—adding new products, services and people. Organic innovation is taking the leap at the one-meter board. On the other hand, disruptive innovation, the high dive, involves the complete remodel of the organization. Systemic operations and outcomes get thrown to the wind and then the pieces get put back together to shape an entirely new structure. You can leap from the one-meter board or the high dive. But is your organization ready to take the leap? Here’s where innovation gets messy, whether it’s organic or disruptive. Innovation can only take place if an organization has the right culture AND the right strategy in place to support the innovation. In fact, this is the essence of the proverbial 3-legged stool. I love this analogy because in this case, it really is true. You can’t have one without the other two. You can’t innovate if you don’t have the culture to support it and the strategic outlook to do something with it. Likewise, if you don’t have a strategy, you create a culture of confusion. Innovation becomes difficult if not impossible. Finally, how can your culture support a change in your strategy and initiate innovation when the organization’s culture isn’t capable of supporting doing anything different? Organizations that innovate for the sake of innovating have a hard time making headway. Reason being, you can’t expect to do anything innovative if you rely on the same old business processes and strategies you had before you decided to innovate! Leadership decisions that integrate culture, strategy and innovation will enable organizations to become more fluid in order to address environmental threats to the organization as well as create new opportunities for growth. A systemic perspective of leadership that is capable of balancing culture, strategy and innovation will empower organizations to operate with creativity and agility, resulting in opportunities to improve targeted outcomes. Making the leap, whether it’s from the one-meter board or the high dive, is a lot less daunting if the organization’s culture, strategy and innovation initiatives are being effectively integrated in the organization… and there to catch you. 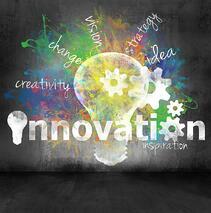 I'd love to know what your organizations are doing to innovate or what questions you have. Simply submit a comment below. Mike Freel, Ph.D., has served as a seminar speaker for Cassling’s Investing in You educational program. Mike Freel, Ph.D., has served as a seminar speaker for Cassling’s Investing in You educational program. Mike Freel, Ph.D., is currently an Associate Professor and Program Director for Bellevue University's Master of Health Administration and Bachelor of Healthcare Management programs in the College of Arts and Sciences. Dr. Freel has a professional background in healthcare, as well as experience in corporate organization and employee development. He has served in several healthcare roles in the clinical and academic fields. He is a member of the American College of Healthcare Executives and serves on the Education Advisory Board for the Nebraska Hospital Association. He earned his Ph.D. in Human Resource Development from the University of Nebraska at Lincoln where he researched emotional intelligence in clinical nurses. He has authored several publications on EI and leadership and presented on various healthcare and leadership topics for local and national conferences.